There is a tremendous amount of scientific evidence suggesting that health of the microbes in your gut determines both your physical and mental health. These microbes are a part of managing your weight, mental health and lowering chance of chronic diseases such as heart disease, diabetes, and cancer. 80 percent of your immune system actually lives in your gut. The metabolites produced by your gut actually communicate with cells throughout your body and determine gene expression. We are only 10% human, the rest of your cells are microbes each with their own unique DNA. The word biome refers to the ecosystem that comprises the entire DNA from the microbes that live in and on us. Over a century ago a Nobel Prize winner Elie Metchnikoff theorized that “health could be enhanced and senility delayed by manipulating the intestinal microbiome with host-friendly bacteria. He coined the term “probiotic” to describe beneficial bacteria. Over 70 years have passed since dermatologists John H. Stokes and Donald M. Pillsbury first proposed a gastrointestinal mechanism for the overlap between depression, anxiety and skin conditions such as acne. Stokes and Pillsbury hypothesized that emotional states might alter the normal intestinal microflora, increase intestinal permeability and contribute to systemic and skin inflammation. The ability of the gut microbiota and oral probiotics to influence systemic inflammation, oxidative stress, glycemic control, tissue lipid content and even mood itself, may have important implications in acne. Is there a connection between the foods we eat and the impact they have on our complexion? Excess refined carbohydrates tend to slow digestion and feed unhealthy bacteria in the gut causing leaky gut. Scaling back on simple carbs gluten and other inflammatory foods could help while adding a daily dose of Biome ReBoot could restore healthy balance to your digestive tract. In turn, you will see a variety of skin conditions disappear. A leaky gut allows bacterial fragments along with lipopolysaccharides to enter the bloodstream and produce system-wide inflammation causing an increase in inflammatory markers in the skin. Used along with Alpha Beta Exfoliating Cleanser and either Mud Mask or Moor Facial Mud, Biome ReBoot can increase the rate of acne clearance. It is one thing to try and treat acne topically however we always have to look for the root cause of the problem and that typically is a faulty diet. There are over 7.5 million Americans suffering from Psoriasis, Eczema and 16 million suffer from Rosacea all of which would benefit from a Biome ReBoot. In one study, a group of Italian scientists added an oral probiotic supplement to an acne and rosacea treatment protocol. One half of patients did not receive the probiotic supplement. The probiotic group experienced better clearing of acne and rosacea symptoms. The makeup of the microbes in the gut determines to a large extent whether or not you will be thin or obese. Those whose gut is dominated by Firmicutes as oppose to Bacteroidetes tend to be obese. The use of antibiotics and refined carbohydrates reduces the beneficial bacteria in the gut resulting in dominance of Firmicutes and increasing the obesity epidemic. Analyzing the use of antibiotics by state clearly demonstrates the correlation of excess use and elevation of obese populations. Each strain performs its own unique functions in the body so it’s important your probiotic contains a balanced spectrum of live organisms of acid resistant probiotic bacterial strains, not just one or two. Biome ReBoot contains the following beneficial strains that have been clinically validated for their support of healthy immune system function. Supports digestive and immune health, is acid and bile resistant and provides long lasting colonization. Reduces yeast infections and improves cholesterol. It produces vitamins B6, B12, and folic acid and lactase in your gut. Supports a healthy immune system. Improves stress management by promoting healthy serotonin levels improving mood and reducing anxiety levels. Reduces antigen-specific skin inflammation. L. Casei has been tested as a proposed treatment for rheumatoid arthritis and was able to decrease inflammation and progression of the disease. Helps to ease digestive distress and supports a healthy inflammatory response. Helps regulate immunity, fortify the gut lining, reduce gut permeability and control inflammation in the gut. Helps reduce food allergies by improving digestion of proteins. Helps absorption and maintain healthy levels of omega-3 fatty acids, vitamins and antioxidants. Lactobacillus plantarum improves skin hydration and has anti-photoaging effects, based on a randomized; double blind, placebo-controlled clinical trial. Promotes a healthy inflammatory response in the gut as well as immune health. Supports healthy cholesterol levels already in the normal range. Can reduce symptoms of gastrointestinal distress, as well as supporting healthy weight and cholesterol levels already in the normal range. Normalizes skin expression of genes involved in insulin signaling and improves the appearance of adult acne. Reduces allergies. Recent research reveals lactobacillus rhamnosus (LGG) protect the liver against oxidative damage caused by acetaminophen. Effective in treating infectious diarrhea in children. 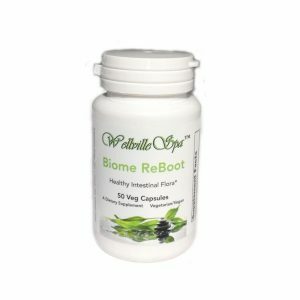 Supports healthy inflammatory and immune responses and reduces symptoms of IBS. Increases brain growth hormone BDNF. Promotes a healthy inflammatory response including allergy response and supports the growth of other beneficial bacteria. Improves fasting insulin levels and glucose turnover rates, even in the presence of a high-fat diet. Reduces food borne pathogens and improves digestion. Bifidobacterium lactis has shown an ability to help promote regular bowel movements. Promotes a healthy stress response and may reduce gastrointestinal symptoms. Significant improvements in day-to-day depression, anger, anxiety, as well as lower levels of the stress hormone cortisol. Reduces pathogens, reduces food allergies and improves cholesterol. Enhances BDNF (Brain Derived Neutrophic Factor). Can help suppress cancerous growths in the colon. Promotes healthy, hydrated skin. Supports immune health. Also stimulates the growth of other probiotic strains. Note that Complete Probiotics contains 80% probiotic strains that are greater than 90% acid- and bile-resistant! Improves mitochondrial function and stimulates mitochondrial biogenesis.